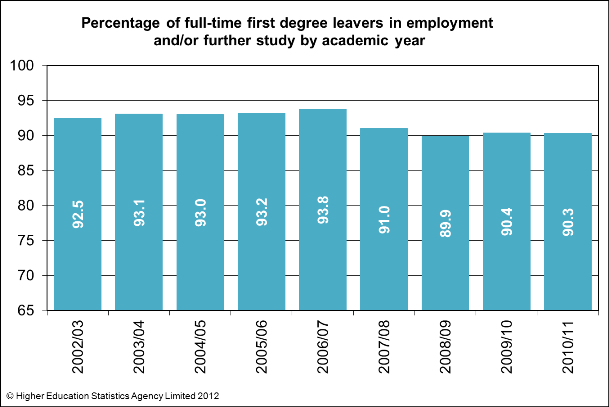 Table E1a looks at full-time first degree leavers from 2010/11. More summary tables and charts can be found on our website. Also published today are indicators for research output including the number of PhDs awarded relative to an institution's academic staff costs. The Guide to PIs explains what the Performance Indicators are, and why they are produced. *Percentage calculations in the Performance Indicators are based on leavers who completed the Destinations of Leavers from Higher Education survey. Percentage calculations exclude respondents who reported that they were unavailable or unable to work. Full definitions can be found here. The PI tables include a Benchmark for each institution. This is a sector average adjusted for the type of institution in question. The benchmarks are not government targets or quotas. See the Guide to PIs for more information, or the Benchmarks page for full technical details. The Performance Indicators are defined and specified by the Performance Indicators Steering Group (PISG). Questions about PISG should be addressed to the HEFCE Press Office on 0117 9317363.